Activision has announced Call of Duty: WWII as the next game in the series. This return to the Second World War does not amaze us very much. Sledgehammer Games is developing Call of Duty: WWII. The studio was previously lead to 2014’s Call of Duty: Advanced Warfare. Activision’s saga of shooters has long been making us fantasize about the armed conflicts of the future, but the ‘Call Of Duty’ we’ll see in 2017 will reinvent itself, and sometimes to step forward you need to look back … In particular towards the Second World War. World War II is the sort of history-defining experience that can give endless supply for writers to explore. And every age interacts with that battle through different stories. The parents of soldiers, of course, lived through the war and fought in it and immersed in the war, even if their family has not spoken openly about their battlefield experiences. Now it is only a few days to wait for the illusion for the saga to return. It’s easy to see why Activision determined to go down this plan. Despite Call of Duty: Infinite Warfare being the bestselling game of 2016, it only accomplished to trade half as much as Call of Duty: Black Ops 3 this year prior. Interest in modern and future warfare is fading, and a World War 2 theme can lure back fans. 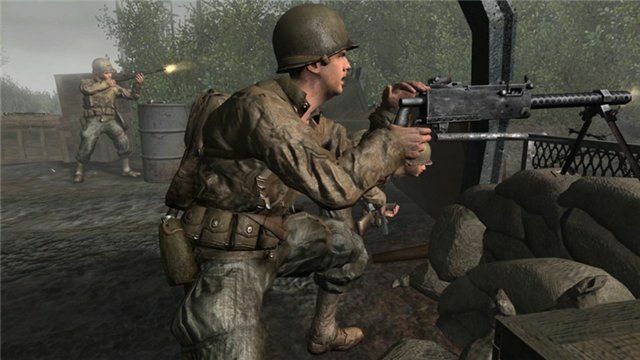 The ‘Call of Duty’ saga hit the market with the intention of dislodging Electronic Arts’ ‘Medal of Honor’ series, settling into the greatest war in the twentieth century during its first three installments. At the time, we don’t know much more than that, and we will get more info about the game on Wednesday, April 26 during the Call of Duty: WWII Global Reveal Livestream.